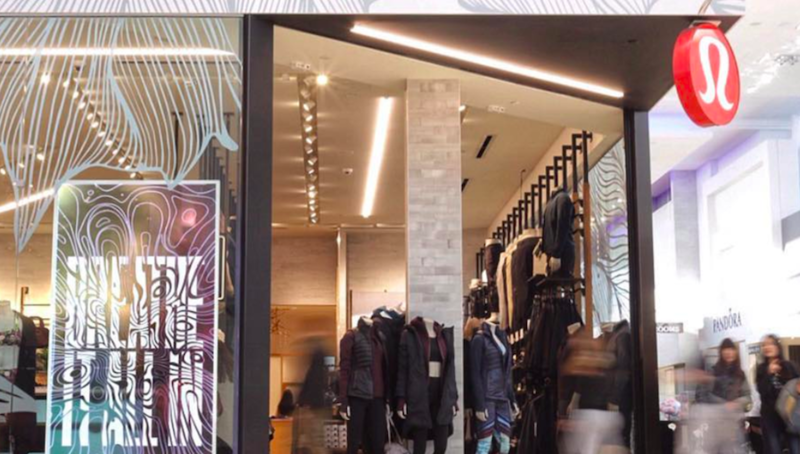 Lululemon Athletica Inc. reported earnings on an adjusted basis in the fourth quarter rose 35.8 percent, easily topping Wall Street’s target, as comps vaulted 17 percent on a currency-neutral basis. For the year, the retailer said it achieved several of its 2020 goals ahead of schedule. 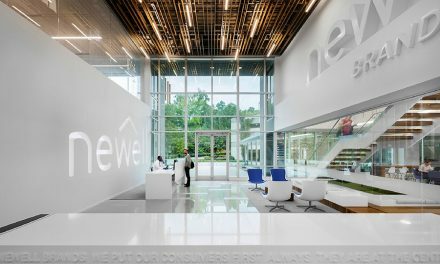 Net revenue was $1.2 billion, an increase of 26 percent compared to the fourth quarter of fiscal 2017. On a constant dollar basis, net revenue increased 27 percent. Excluding net revenue from the 53rd week of fiscal 2018, total comparable sales increased 16 percent or increased 17 percent on a constant dollar basis. Direct to consumer net revenue increased 37 percent or increased 39 percent on a constant dollar basis. Gross profit was $668.6 million, an increase of 28 percent compared to the fourth quarter of fiscal 2017. It increased 28 percent compared adjusted gross profit in the fourth quarter of fiscal 2017. Gross margin was 57.3 percent, an increase of 100 basis points compared to the fourth quarter of fiscal 2017. It increased 110 basis points compared to adjusted gross margin in the fourth quarter of fiscal 2017. Income from operations was $331.4 million, an increase of 29 percent compared to the fourth quarter of fiscal 2017. It increased 28 percent compared to adjusted income from operations in the fourth quarter of fiscal 2017. Operating margin was 28.4 percent, an increase of 80 basis points compared to the fourth quarter of fiscal 2017. It increased 60 basis points compared to adjusted operating income in the fourth quarter of fiscal 2017. Income tax expense was $115.8 million compared to $137.7 million in the fourth quarter of fiscal 2017 and the effective tax rate was 34.6 percent compared to 53.5 percent. The adjusted effective tax rate was 26.9 percent compared to 30.6 percent in the fourth quarter of fiscal 2017. Net earnings rose to $218.5 million, or $1.65 a share, from $119.8 million, or 88 cents, a year ago. Adjusted earnings rose to $245.1 million, or $1.85, from $180.5 million, $1.33, a year ago. Analysts were expecting adjusted earnings of $1.74 on an adjusted basis. Net revenue was $3.3 billion, an increase of 24 percent compared to fiscal 2017. On a constant dollar basis, net revenue increased 25 percent. Excluding net revenue from the 53rd week of fiscal 2018, total comparable sales increased 18 percent or increased 18 percent on a constant dollar basis. Comparable store sales increased 7 percent, or increased 8 percent on a constant dollar basis. Direct to consumer net revenue increased 45 percent or increased 46 percent on a constant dollar basis. Gross profit was $1.8 billion, an increase of 30 percent compared to fiscal 2017. It increased 29 percent compared to adjusted gross profit in fiscal 2017. Gross margin was 55.2 percent, an increase of 240 basis points compared to fiscal 2017. It increased 210 basis points compared to adjusted gross margin in fiscal 2017. Income from operations was $705.8 million, an increase of 55 percent compared to fiscal 2017. It increased 40 percent compared to adjusted income from operations in fiscal 2017. Operating margin was 21.5 percent, an increase of 430 basis points compared to fiscal 2017. It increased by 250 basis points compared to the adjusted operating margin in fiscal 2017. Income tax expense was $231.4 million compared to $201.3 million in fiscal 2017 and the effective tax rate was 32.4 percent compared to 43.8 percent for fiscal 2017. The adjusted effective tax rate was 28.0 percent compared to 30.5 percent for fiscal 2017. The company ended fiscal 2018 with $881.3 million in cash and cash equivalents compared to $990.5 million at the end of fiscal 2017. Inventories at the end of fiscal 2018 increased by 23 percent to $404.8 million compared to $329.6 million at the end of fiscal 2017. The company ended the year with 440 stores. The company also announced that its board of directors has approved an additional stock repurchase program for up to $500.0 million of its common shares in the open market at prevailing market prices, including under plans complying with the provisions of Rule 10b5-1 and Rule 10b-18 of the Securities Exchange Act of 1934, or in privately negotiated transactions. The timing and the actual number of common shares to be repurchased will depend upon market conditions, eligibility to trade, and other factors, in accordance with Securities and Exchange Commission requirements, and the repurchase program is expected to be completed in two years. The stock repurchase program is intended to create shareholder value by making opportunistic repurchases during periods of favorable market conditions. Shares may be repurchased from time to time on the open market, through block trades or otherwise. Purchases may be started or stopped at any time without prior notice depending on market conditions and other factors. For the first quarter of fiscal 2019, we expect net revenue to be in the range of $740 million to $750 million based on a total comparable sales increase in the low-double digits on a constant dollar basis. Diluted earnings per share are expected to be in the range of $0.68 to $0.70 for the quarter. This guidance assumes 132 million diluted weighted-average shares outstanding and a 28 percent tax rate. The guidance does not reflect potential future repurchases of the company’s shares. For the full fiscal 2019, we expect net revenue to be in the range of $3.700 billion to $3.740 billion based on a total comparable sales increase in the low-double digits on a constant dollar basis. Diluted earnings per share are expected to be in the range of $4.48 to $4.55 for the full year. This guidance assumes 132 million diluted weighted-average shares outstanding and a 28 percent tax rate. The guidance does not reflect potential future repurchases of the company’s shares.